Our brains are superhighways, firing electricity down roads carved by memories. Superhighways that are continuously growing and changing per our life’s experiences. The more time we spend looking for fun, the more these superhighways grow and expand. The more time we spend focusing on the negativity, the more those dead ends build. Whenever we start to redirect the thought process and move ourselves above the water and towards the fun, we create new pathways and neurological habits. The more we do this over time, the stronger these roads become and our lives begin to change for the better. My interest in rewiring the brain and the endless potential each one of us holds within began a few years ago. Like many, I’ve found myself chained to the bottom of a sad self-made sea. I’ve felt the cold floor of this ocean while sitting listlessly, believing I suffered from this sadness and that I couldn’t escape it. Til one day I saw something different. In my solemn stillness I saw something sparkle. In that moment I saw a shine of hope, a gap in suffering and shimmer of awakening. The Fun Challenge is a shimmer of awakening. It is a catalyst that will detour your thinking, shift your perception and eventually change your life. All by redirection of thought towards fun. The 30 Day Fun Challenge encompasses the idea that each day we find at least one moment out of 24 hours to see that shimmer of hope. I believe we are our minds and what we choose to focus on in each moment becomes our reality. By being challenged to find fun, my life simply became more fun. During the 30 days, there were times when I fell back into old habits. But, knowing I had committed myself to the challenge kept me moving forward and out of that place of darkness. It became exciting to find fun. I acquired a hunger for it. I began to realize it felt better to be having fun. The Fun Challenge became my life’s scavenger hunt for happiness. Things I never thought of as fun before, like cleaning the house, I was now seeing from another perspective. Instead of only viewing it as a chore, I would throw on music and feel good about loving my home and making it nicer. One day I even found the fun in hanging out alone, something that might have bummed me out in the past. I came to see how awesome my own company was. The Fun Challenge became more and more exciting. It was a community event and I enjoyed hopping onto Instagram each day to see what my fellow fun challengers had done. I was not only learning through my experience, but through theirs too. As an artist, I have devoted my life to seeing beauty and sharing it with others. The fun challenge has been inspirational to my creative process. For most of my life, I’ve typically written music that tends to be dark and somber. Since completing the 30 Day Fun Challenge, I find myself writing music that is happier, more vivacious, and in different keys than before. Inspiration comes from many places, but we must have our eyes open to see it. I feel the Fun Challenge has helped open my eyes, now I see the magic in the world more clearly. After thirty days of daily fun, finding it became a habit for me. My perspective on life shifted. When I felt myself falling to the bottom of the sea, I grabbed for something fun on the way down or I pulled myself up with a glimmer of hope. I realized it was possible to change, to move away from the ocean of sadness, because it was happening to me. The 30 Day Fun Challenge taught me it was possible to live life differently and more happily. I can finally see the power of the mind and my ability to control and alter my perception. Life is truly a beautiful gift and I can really see how much more enjoyable it is to just have fun with it! 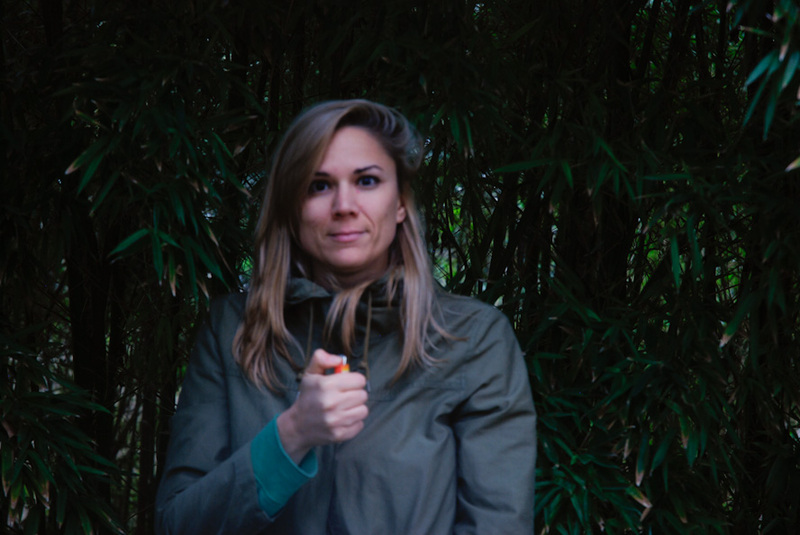 Kara Mosher is a freelance photographer and musician based out of Austin, TX. She has a B.A. in English and International Business from Western Michigan University. She has spent much time traveling abroad, visiting 18 countries and living in both San Jose, Costa Rica and London, England. This summer she will be recording her debut album for her band, Kara Mosher. Her music can be found at www.karamosher.com and photography at www.thesebrowneyesPhotography.com, for glimpses into her adventures check out @thesebrowneyes on Instragram. Very nice article, Kara. I never would have guessed that you had a sad, dark place. I’m glad you found your way out. Thanks for sharing. May you always be able to find some joy.